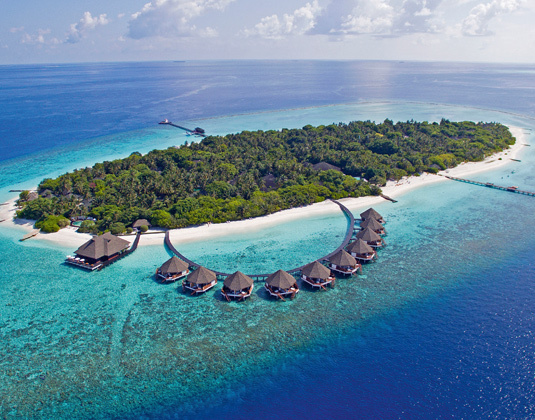 This enchanting island offers one of the finest four star hotels in the Maldives, with a choice of all inclusive packages and, for those seeking a little more luxury, the option to upgrade to the beautiful Prestige Water Villas. Bask beside the pool or on the shimmering sands, perhaps treat yourself to a rejuvenating spa experience or make the most of the many activities available on both land and sea. 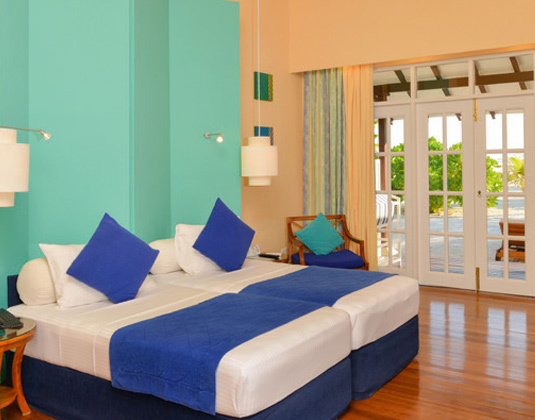 In beach villas with shower, mini bar, safe and terrace. Sunset beach villas. Duplex garden pool villas. 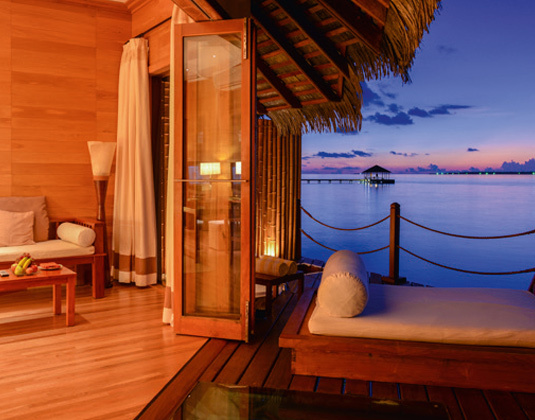 Overwater villas at Prestige Water Villas. 45 minute seaplane transfer from Mahe airport. Adaaran Select Meedapharu: Buffet breakfast, lunch and dinner all at main restaurant*snack buffet at main bar (set times)*selection of beverages all served by the glass: spirits (whisky, brandy, gin, vodka, rum), house red & white wine, draft beer, cordials and soft drinks, mineral water, choice of 5 cocktails and 5 mocktails (all at set times) *use of tennis court (daytime) with equipment *badminton, gym, pool table & table tennis *squash court with equipment (daytime)*pool table, beach volleyball & darts *sauna & steam bath. Upgraded Gold all inclusive package available. Please ask for details. 7 for 6: Aug 18. 6 for 5: 01 Nov-26 Dec 18 & 01-30 Apr 19. Early booking villa discount up to 30%: On selected dates between Aug 18-Oct 19. 15% villa discount: 01 Nov-26 Dec 18 & 01 Apr-31 Aug 19 if you stay at least 11 nights. Family & honeymoon offers: Please ask for details.